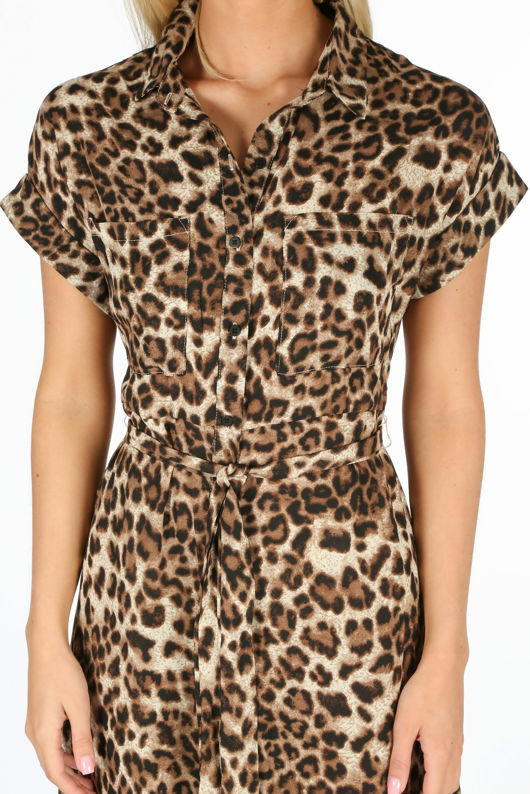 For the ultimate sassy chic look try this sophisticated chiffon shirt dress in leopard print. With a front button fastening and belted waist this versatile dress is perfect for those days you need your outfit to take you from day to night. Be the glam fashionista of the office and style with heels and shoulder bag. Why not try the dress open over leggings and a cami as a maxi over shirt!